I’ve filed this story for People’s Tonight in April 2006. 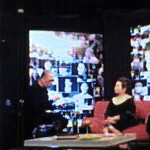 This was the first interview I had with Ms. Stargazer. SHE is not a policewoman. She doesn’t even hold a degree in criminology or any related course. But she could pass for a crime buster. The woman is a seer and could provide investigators a lead to solve a heinous crime. “I consider myself as the link between the living and the dead,” Stargazer told People’s Tonight, adding that seeing spirits and communicating with them is one of the things she was able to hone as a young child. The 42-year-old psychic from Quezon City said that police matters are referred to her to provide relatives of victims potential leads to their case. She went on: “Marami na akong natingnan na eto ang lead mo, hanapan mo ng ebidensya. So far, nagkakaroon ng closure…minsan tatapatin ko mahihirapan na kayong humanap ng ebidensya. Stargazer, however, could not discuss the cases openly because they are still being heard in courts and might put at risk her clients’ safety as well as herself. “I am also particular about it…dahil ako ang may hawak ng susi kung paano at kung ano ang nangyari…it is delikado of my safety, I have also children,” the Communication Arts graduate of Ateneo University said. Unfortunately, there is certain information (of the case) that she chose to keep from the victim’s loved ones and protect them in the process. Stargazer said that her decision to hold the truth is like “one jewel in her crown” because she was able to preserve lives. Citing one case referred to her, she said the police officer involve in a murder case is still active in service. She said she would meet her clients late at night and doesn’t know their real identity. And to ensure her own safety, she instructed them not to reveal to anyone about their meeting. “Nanalo na ang tinulungan ko, he took all the leads that I gave. Sinamahan ko pa siya sa pagimbestiga. “With the use of my psychic ability `pag sinabi ng spirit na kumanan ka (referring to a direction)…we were able to reach our target. “At kapag kasama ako hindi siya nahuhuli gayong andami ng mobile sa harapan niya. Kinocloak ko kasi siya with a shield because I believe in the innocence because I was witness to it eh,” she pointed out. Stargazer was also invited to guest in a police-oriented TV program where she described how the writer of another TV program was killed inside his house last year. “Pinalabas nila sa show kung paano namatay ang isang writer nila. Trinace back ko kung ano ang nangyari sa loob ng kwarto by touching traces of dried blood. “Pati description ko ng incident. Kaya lang humiling ang isang police officer na huwag iere, icut lang ang sinabi ko na maglilead sa isang lugar. Eh ‘yun din ang hinala ng Col.
“Nagpa-flash sa mind ko ang mga nangyari nang hawakan ko ‘yung dried blood tapos pumikit ako…,” she recalled as if reviving a recent incident. Some people who were inside the victim’s house to witness how she communicates with the writer’s spirit felt an eerie occurrence that night. “Nagparamdam pa ‘yung spirit that evening. Ang daming nakaramdam. Two children even saw the spirit nasa likod ko raw. Nagpatay sindi ang ilaw. Mararamdaman mo talagang umiikot ang spirit,” she said. Using a mental telepathy, Stargazer summoned the spirit and urged it to “throw” its thoughts to her. She noted that she prefers talking to the spirit since this is more accurate than visit the crime scene through remote viewing. “Hindi ako magkakamali kapag spirit na ang kausap ko, sa remote viewing pwede pa akong magkamali sa pag-view ko,” she said. Stargazer, who began her formal training 15 years ago, said that seers like her just relay signs from God. “Aside from lindol, there could be landslide at pagtaas ng tubig. 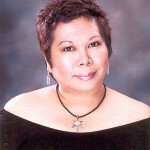 Sabay ‘yon,” said the Communication Arts graduate of Ateneo University. 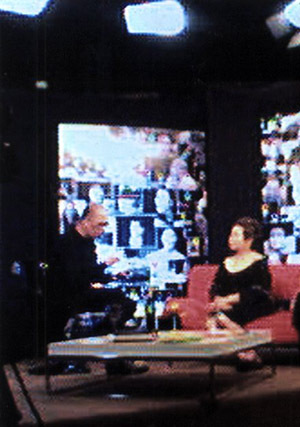 Both programs were taped in December 2005. The mudslide that buried alive close to 1,000 people in Barangay Ginsaugon, Southern Leyte happened in February 2006. Also in 2005, Stargazer predicted on national television the exact day and time Pope John Paul II would die. About a year before National Bureau of Investigation (NBI) Director Reynaldo Wycoco passed away, Stargazer managed to warn him about his health. Stargazer said she saw Wycoco with a grayish aura on his head, whichmeans an impending health problem. 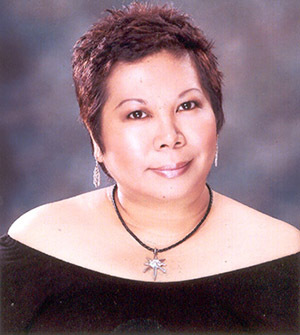 Wycoco died of a stroke while in office last December (2005). This entry was posted in Profile and tagged jessica bacar, Stargazer, stargazer dzmm, who is stargazer, works of stargazer on October 27, 2013 by Yami.